Dr. Fineman is currently President of the American College of Allergy, Asthma & Immunology. He has served as president of the Joint Council of Allergy, Asthma & Immunology, the Southeastern Allergy Association, the Allergy and Immunology Society of Georgia, the Cobb County Medical Society and the Cobb Area Pediatric Society. He has been a governor for the state, regional and local societies of the American Academy of Allergy, Asthma and Immunology. 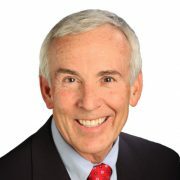 He has been named “Professional of the Year” in 1985 and 1996 by the American Lung Association of Georgia. He was voted one of Atlanta’s top allergists in Atlanta Magazine’s “Top Doctors” and is also listed in “Best Doctors” in Georgia. Myth: You can’t develop allergies as an adult. An allergy could be triggered in an adult because of a newly introduced allergen to which there was no prior exposure. For example, moving from the West Coast to the East Coast might bring on an allergy to ragweed, which thrives in the Northeast. Or, if you did not have a pet growing up, a new dog or cat could trigger an allergy. Alternatively, some people simply become more sensitive to common allergens, such as pollen, dust mites and molds as they grow older. Adults who come in with the symptoms will undergo similar testing to that done with potentially allergic children. Myth: Eating local honey can prevent allergies. There may be a (pollen) grain of truth to the idea behind it, but eating honey and the pollens it’s made from won’t fix your seasonal allergies. “The notion is that pollen causes allergy, and honey is made from pollen. Perhaps if you took the pollen and ingested it … then it might somehow build up a tolerance,” said Douglas Leavengood, an allergist at Gulf Coast Asthma and Allergy in Biloxi, Miss. The problem with that thinking, said Leavengood, is that the pollens creating allergy problems aren’t the ones bees use for honey. Myth: Mothers who consume potential allergenic foods during pregnancy or breast-feeding can give a child an allergy. There’s no strong evidence to support the theory that a child will develop allergies after early exposure to allergens because of the mother’s diet during pregnancy or while breast-feeding, but it’s a possibility that may need to be researched further. On the other hand, eating a regular diet could stem an allergy. Resnick pointed out that in Israel, mothers do not avoid peanuts or peanut butter and there are fewer peanut allergies in that country, though there is no strong research to support a direct relationship. By contrast, American mothers who already have children with allergies might be advised to avoid specific foods during a later pregnancy, based on the theory that the baby will not become allergic this way. However, peanut allergies in the United States have been rising dramatically in the last decade. So while no strong evidence exists that eating these foods during pregnancy and breast-feeding causes problems, more concerned mothers can take that extra step. Myth: People who are allergic to shellfish are actually allergic to Iodine. Some people who are allergic to seafood avoid certain skin medications and diagnostic medical tests that use iodine because they fear an allergic reaction. But there is no connection between allergies to fish and shellfish and allergies to iodine. Allergies to fish and shellfish are caused by the protein in them, not the iodine. “Your allergies will follow you, no matter where you go,” said Dr. Dan Dalan, an allergist in Fargo, N.D., who is a clinical associate professor at the University of North Dakota School of Medicine. That means some allergies might be relieved by moving to a different climate, but you may also discover that you have other allergies to your new home. Myth: You can have a hypo-allergenic pet. The protein found in the pet’s saliva, dander and urine is what causes allergies, not the pet’s hair. There is not one breed that is better for people with allergies and asthma. Asthma is not a psychological condition. However, emotional triggers can cause flare-ups. Myth: Asthma can be cured. There is no cure for asthma, but the disease can be controlled in most patients with good medical care. The condition should be taken seriously since uncontrolled asthma may result in emergency hospitalization and possible death. Myth: People with asthma should not exercise. Swimming is an optimal exercise for those with asthma. On the other hand, exercising in dry, cold air, may be a trigger for asthma in some people. Myth: You can’t be allergic to a food only depending on how it’s prepared. “Some people have allergic symptoms in their mouth when they eat certain fruits and vegetables that are fresh but not when they’re cooked. And that’s very interesting — we call that oral allergy syndrome,” Liu said. The reason, Liu explained, is that cooking destroys the problematic allergens in these foods. This is also the case with food oils. A person with a soy, corn or safflower allergy is unlikely to be allergic to soy, corn or safflower oils because the processing and purification breaks down the allergens. However, because peanut oil is typically less processed, it is still a potential allergen for a person with peanut allergies. Myth: Allergy shots don’t work for adults. Experts say allergy shots, or immunotherapy, have nothing to do with age and can offer relief at any time. The shots contain just enough of an allergen to stimulate the immune system, but not enough to cause an allergic reaction. With each session, doctors increase the amount of allergen in the shot. The idea is for a person to build up a tolerance to the specific allergen over time. Allergy immunology specialists (AIs) differ from primary care physicians (PCP) in their treatment of asthma. A limited retrospective chart review of several visits over a 1-year period in 1997 evaluating the quality of asthma care by AIs vs. PCPs was conducted in an academic center. Data concerning quality, effectiveness and cost of asthma care was randomly collected from 15 AIs and 15 PCPs from charts at 3-month intervals over a 1-year period. Information obtained from data collection forms revealed that asthma patients evaluated by AIs had more visits and received a greater quantity of medication compared to those treated by PCPs. All 15 patients with persistent asthma followed by AIs were treated with inhaled corticosteroids at each visit in contrast to only 80% of those treated by PCPs.